If you’ve been waiting for a seat at one of the hottest restaurants in the country, your table is ready! And, it’s right here in Montgomery County. 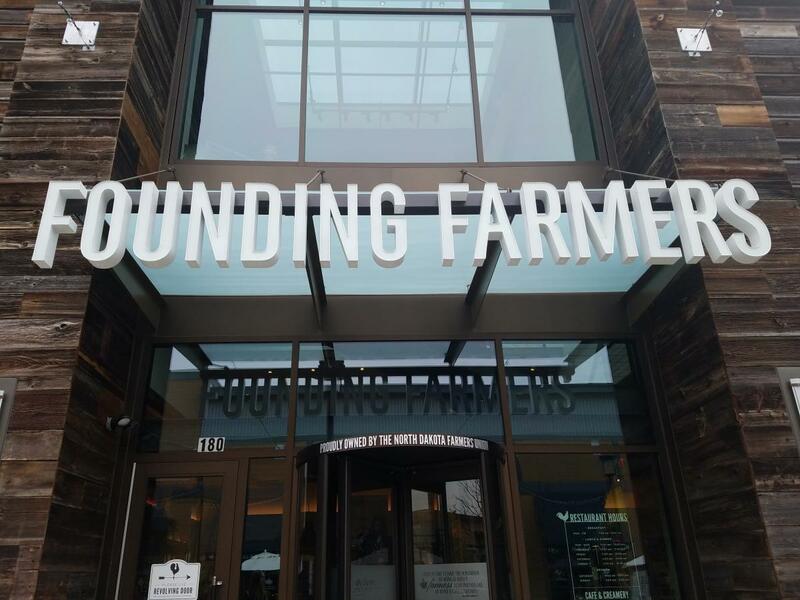 Founding Farmers celebrated their ribbon-cutting ceremony at the King of Prussia Town Center location on Wednesday. The most booked restaurant in the United States on Open Table, Founding Farmers is majority-owned by 47,000 family farmers from across the country. Serving weekday breakfast, lunch, and dinner, and weekend buffet brunch, the restaurant focuses on cooking from scratch with fresh-baked bread, beef ground on-site, fresh pressed juices, and churned butter, all as part of a wide range of both innovative menu creations and American cuisine. 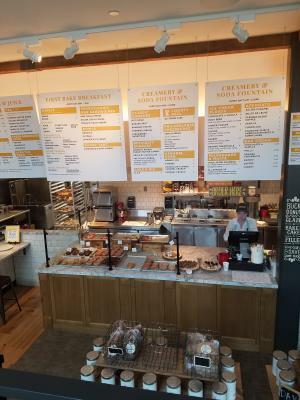 The restaurant’s first Pennsylvania location will also feature another first, the Bake Café and Creamery, offering light fare, coffee, bread, donut, pies, and house-churned ice cream for eat-in or takeout. The site created 200 new jobs in the region. Some representatives of those farm suppliers talked about how proud they are to partner with Founding Farmers. All of the locations are part of the Certified Green Restaurant Association and use sustainable and energy efficient equipment, incorporate recycled and refurbished materials in the building, and even design unique interiors with detailed original pieces of custom-made local art. “It’s wonderful to be a part of a company where the values align, and they focus on farmers and sustainability,” said Margo Sechler of Bell & Evans chicken hatchery. 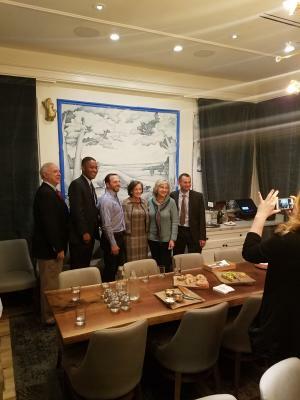 The partners and Simons spoke to a crowd of dozens of people including state Rep. Tim Briggs, the Montgomery County Commissioners, the Upper Merion Township Supervisors, members of the King of Prussia Business Improvement District, and Valley Forge Tourism & Convention Board. The opening adds to an already growing dining scene around Montgomery County. With 1,600 restaurants from favorite brands to small town diners and cafes. Founding Farmers began in 2005 when members of the North Dakota Farmers Union partnered with Simons and Mike Vucurevich to bring their crops directly to consumers. Besides the original Washington, D.C. location, the restaurant also has sites in Maryland and the Virginia suburbs. The King of Prussia location also provides an intimate, 30-seat private dining room. Rachel Riley, VFTCB’s Communications & Media Relations Manager, loves to explore with her family, read, write, take photos, volunteer, sing, and dance. She lives in Montgomery County with her husband, their two sons, and two cats.